Let your mom be the center of attention this Mother's Day by putting on a brunch in her honor. We have everything scrumptious here to make it a hit-from cocktails to main course dishes to finger foods. Follow this guide to show your mom how much you love her this Mother's Day. Start the day or party off by whetting everyone's whistle. 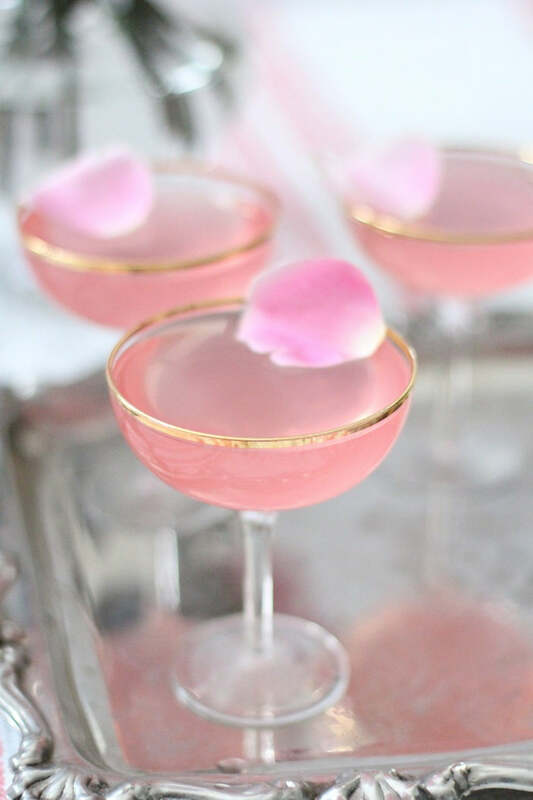 This delicate pink martini is so girly and perfect for Mother's Day. The fresh flower petal and gold rimmed glass are also a nice touch. 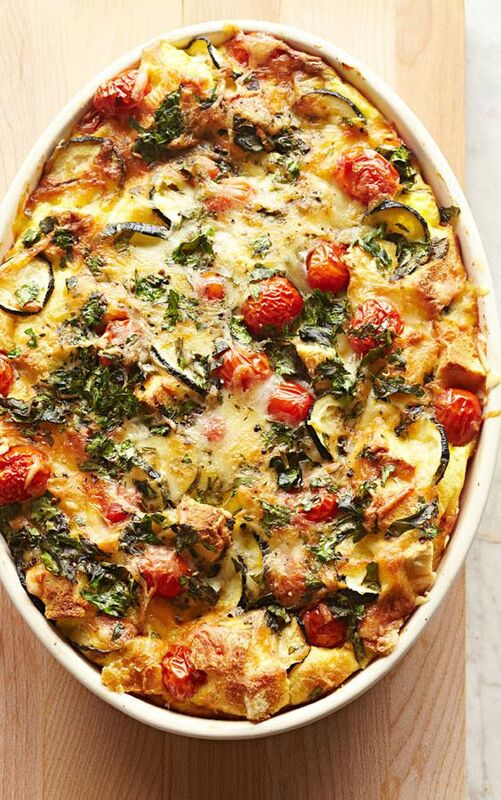 You can whip this up the night before and stick it in the fridge or make cocktails as they're needed-it's up to you! If you have an ultra femme mom who loves a light and refreshing cocktail, this is a tasty choice. 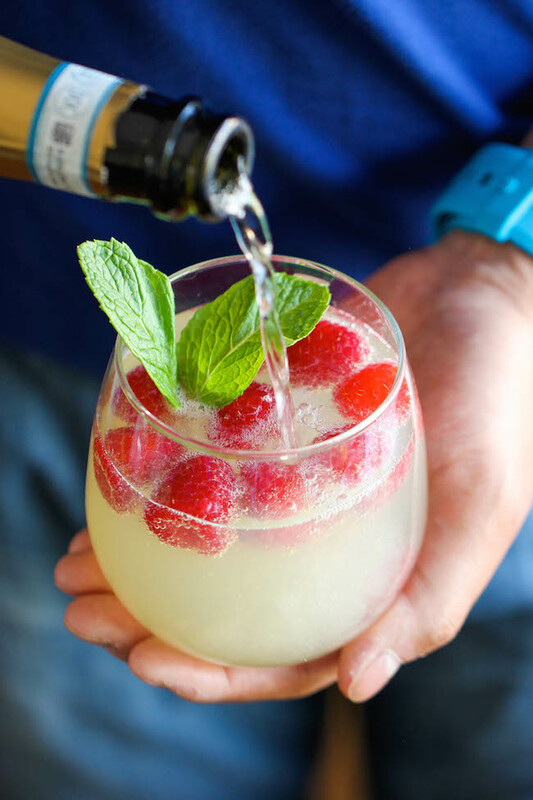 Add a bit of bubbly to celebrate your vivacious mom with this Raspberry Lemon Spritz. If you've ever had a wine spritzer or mimosa, it's similar. Instead of using orange juice, you can use lemon soda or just a squeeze of fresh lemon juice. Then, add some fresh raspberries to the glass and a mint leaf for added aesthetic appeal and freshness. Since it's Mother's Day, you'll want to step your cocktail game up a notch. 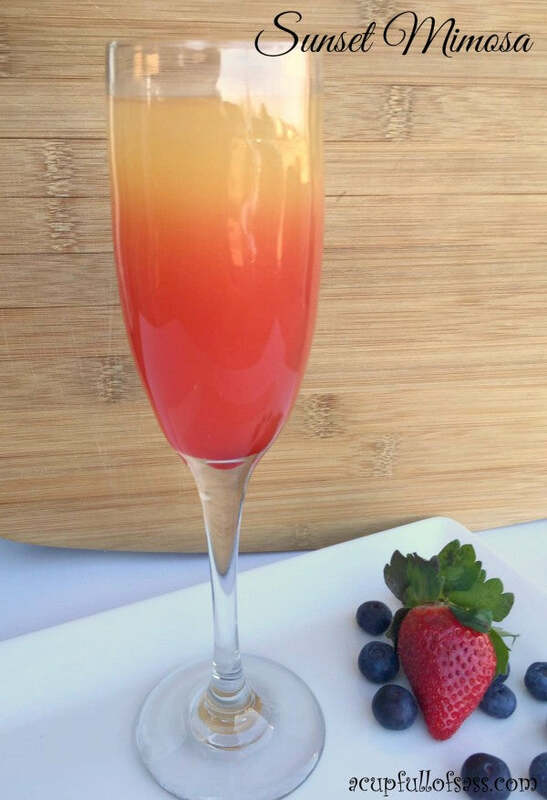 This sunset mimosa will definitely do that with its gorgeous ombre effect and citrus explosion of flavor. These are best made right before you drink them so that the colors stay separate. Once everyone arrives, start pouring and passing them out for everyone to sip on. You can make them even more special by including a pretty garnish like a cherry or sprig of rosemary to the top. Have something tasty to go with your cocktails with these amazing Mother's Day appetizers and sides. Brunch is great because it can go savory or sweet. This recipe focuses on the latter. You can either serve these as a main course depending on how many you plate, or put them on a platter for guests and "moms of honor" to munch on. You can make the waffles beforehand and heat them in the oven before assembling. 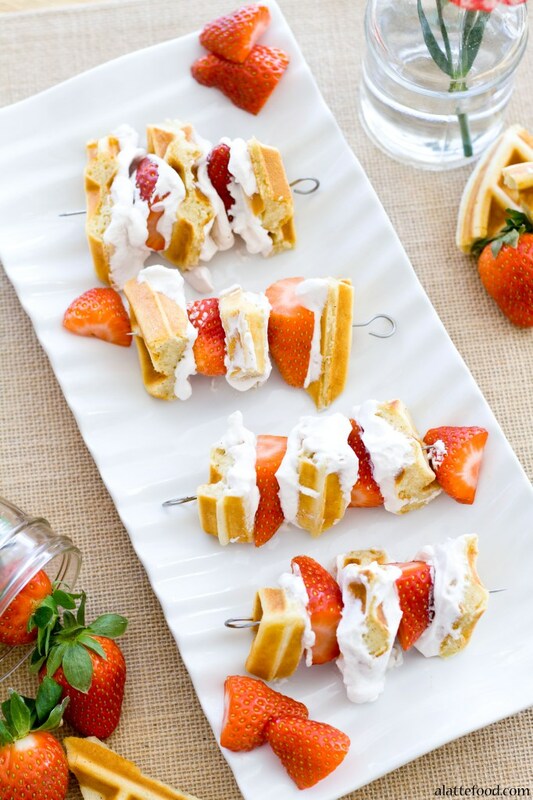 Then, layer waffles, fruit, and strawberry. You can even include a side of maple syrup or dust these with powdered sugar for added sweetness. Craving something salty amongst all the sweet? 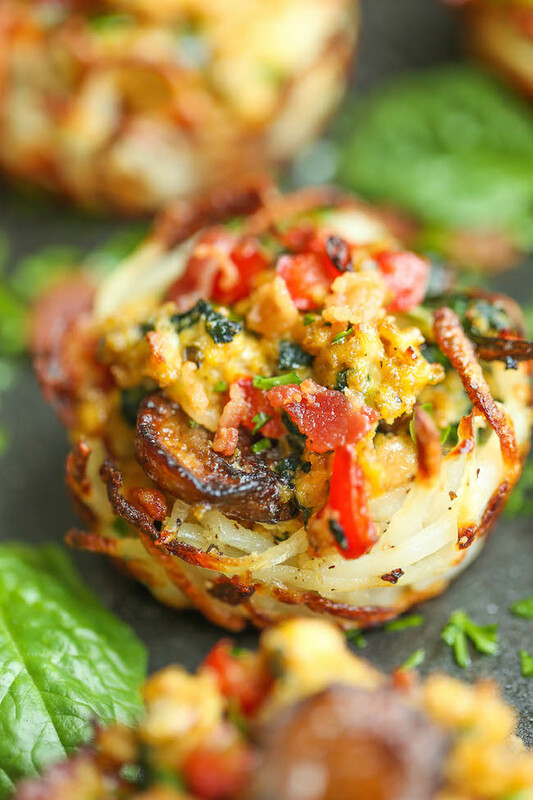 These bacon and potato bites have a ton of breakfast flavors in one. Again, this is something you can prep ahead of time and pop in the oven a little while before guests arrive. It'll ensure that your house is smelling delicious and that people will have something warm to snack on when they get there. You can serve these as an appetizer or a side along eggs or on top of a salad. The choice is up to you! Just figure out what Mom loves best and go from there. This one doesn't have a recipe, but you just need to layer granola, fruit, and yogurt to achieve this tasty starter. 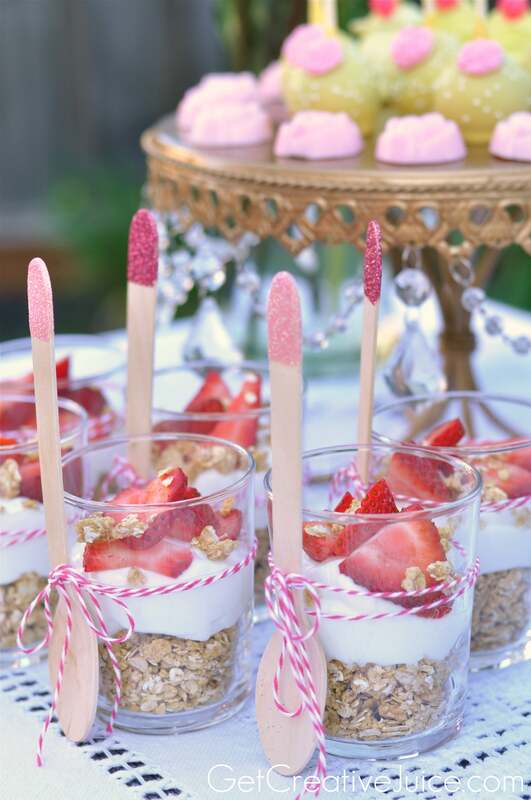 We love how this cook used pink and white string and pretty spoons to make these individual cups all the more special. You can use your mom's favorite colors to make it suit your Mother's Day brunch. Another idea would be to change up the toppings and yogurt flavors. Try drizzling some honey in between layers. Use a fruity yogurt instead of a plain one. Add a splash of vanilla or fragrant simple syrup to the mix. The choices are endless and this will be one healthy and light treat everyone can enjoy. Once you've dined on tasty bites, it's time to sit down and enjoy a main course. Here are some great recipes to try. We wouldn't recommend you do this if you're going to make waffle skewers, but if you do more of a savory appetizer platter, then this baked French toast would be a perfect selection for the main course. This recipe is super convenient because it's designed to be made the night before. That way, it can spend time in the fridge soaking up flavors and developing a moist texture everyone will love. 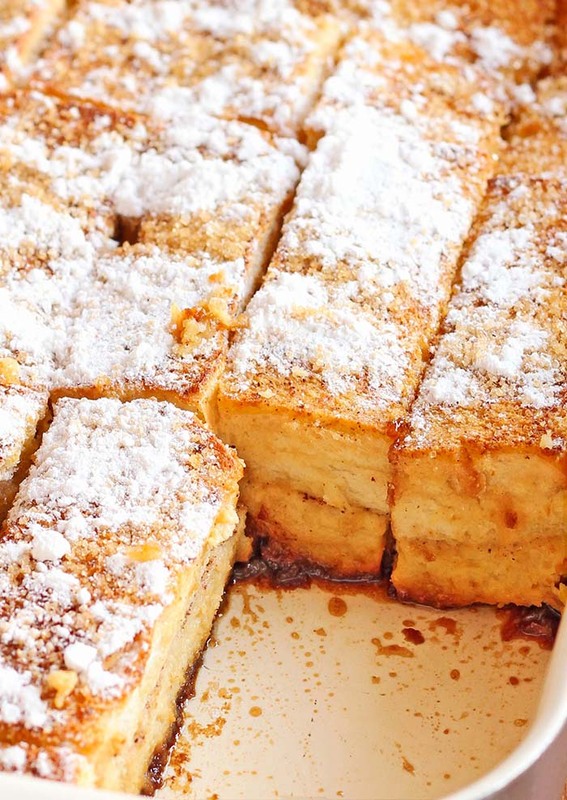 Simply bake this in the morning, dust with powdered sugar, and serve family style at the table. We aren't saints, but we certainly found a lot of make-ahead recipes for your Mother's Day brunch! That's because on the actual day, you'll want to spend time with the woman you're there to honor rather than toiling in the kitchen. Stratas are a smart choice for a brunch since they're a complete meal in one pan and can be customized so easily. If you have breakfast meat-lovers, include sausage and bacon. If you're all vegetarians, make sure to choose a medley of vegetables that complement each other. Serve hot alongside hash browns or toast, and you'll have a hit dish. 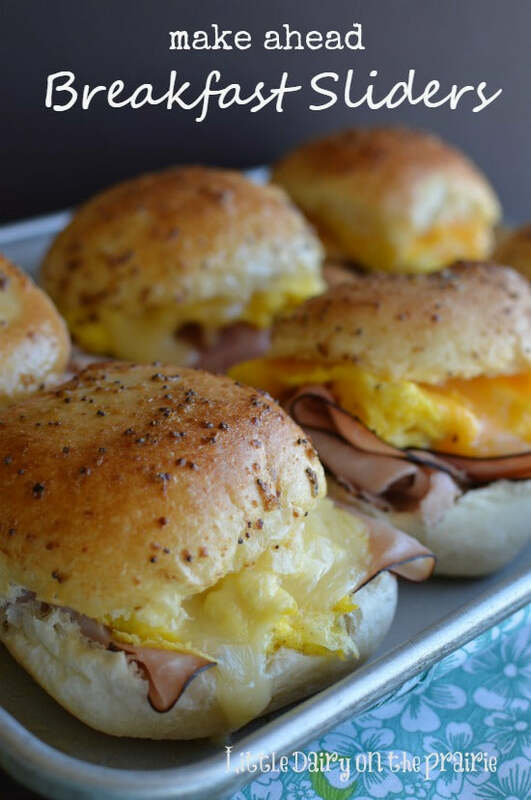 Depending on whether you're having a sit-down brunch or more of a buffet, these sliders might be something you'd be interested in. Assemble them the day before and then all you'll need to do is heat them through in the oven on Mother's Day. You can plate these yourself or put them on a large platter in the middle of a table for people to help themselves to. If you're serving a number of items, individual sized foods like this help people pace themselves so they can sample it all! Your mom is sweet, so you'll need some sweet dessert ideas to honor her. Here are some you can try below. Raspberry and lemon are such a vibrant combination. They're tart and sweet and the red and yellow colors play off of each other nicely. 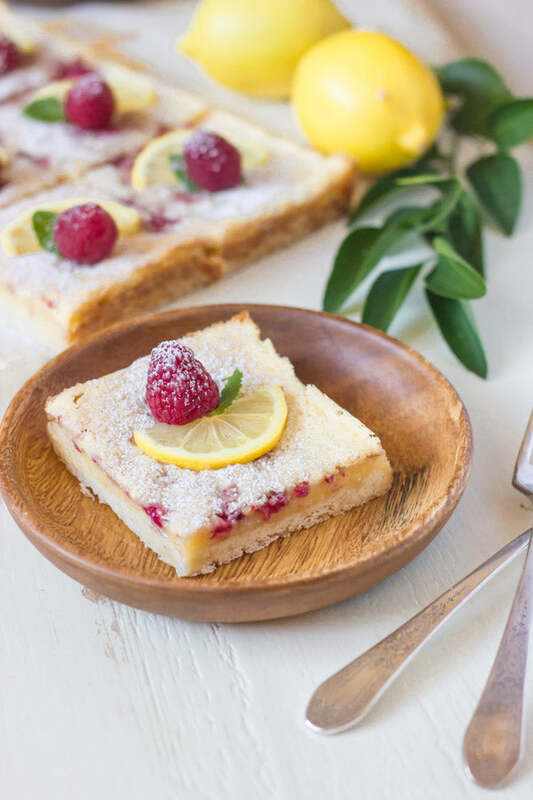 Served alongside tea and coffee, these raspberry lemon bars will top off your Mother's Day brunch stupendously. The recipe itself is pretty easy to make and once again, can be done ahead of time. Make sure you choose an extra pretty platter for these bars to celebrate Mother's Day in style. Mom have a weakness for chocolate? 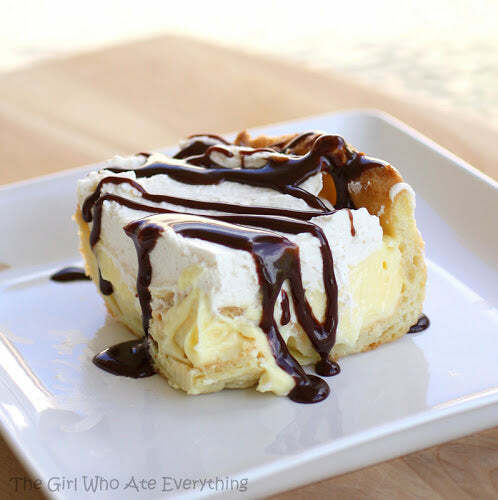 Indulge her on her special day with this chocolate eclair cake recipe. Not only does it have chocolate-something most people love-but it's also a breakfast pastry so it's very fitting with a brunch menu. It's definitely a rich treat, so maybe coordinate your menu to have a few lighter and saltier items before diving into this heavy, yet decadent dessert. 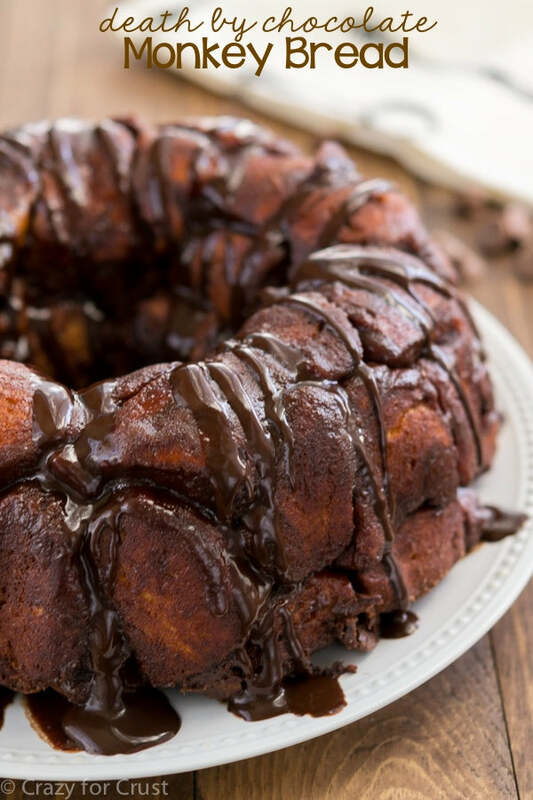 Share the love of moms everywhere with this chocolate monkey bread. Monkey bread is baked in a way that allows you to tear off chunks. It's the perfect cake that everyone can help themselves to and share. Once you've cleared entrÃ©e plates, set this baby out in the middle of the table and have everyone pass it around and serve themselves.